Renfield R. Renfield the Chief of Security and Intelligence Gathering for Set Enterprises was waiting in line at London’s Heathrow Airport to check in for his flight. Renfield was en route to Caracas Venezuela where he was to meet with the Aztec vampire princess Qonzilqointec and put the finishing touches on a plot to overthrow the government of Venezuelan President Nicolas Maduro. Qonzilqointec’s spiritual godfather the Aztec feathered serpent god Quetzalcoatl had said that he was willing to leave his beloved Mexico for a few months and serve as Venezuela’s interim President until such time as new elections were called. As Renfield looked out the window of the airport lounge, he noticed a bunch of bloodied, bruised and injured passengers lying outside on the airport tarmac. “Good God,” he said to a lounge hostess, “has a terrorist attack just occurred at Heathrow?”. 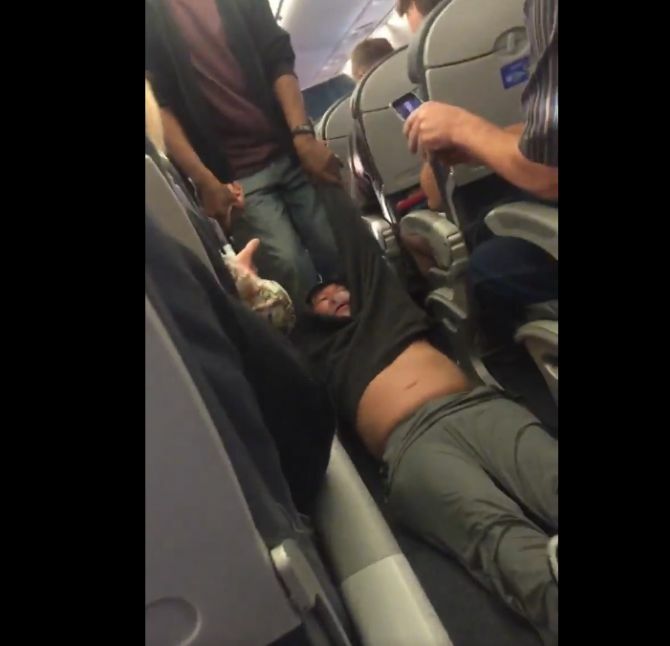 United Airlines: United we stand, divided we fall.